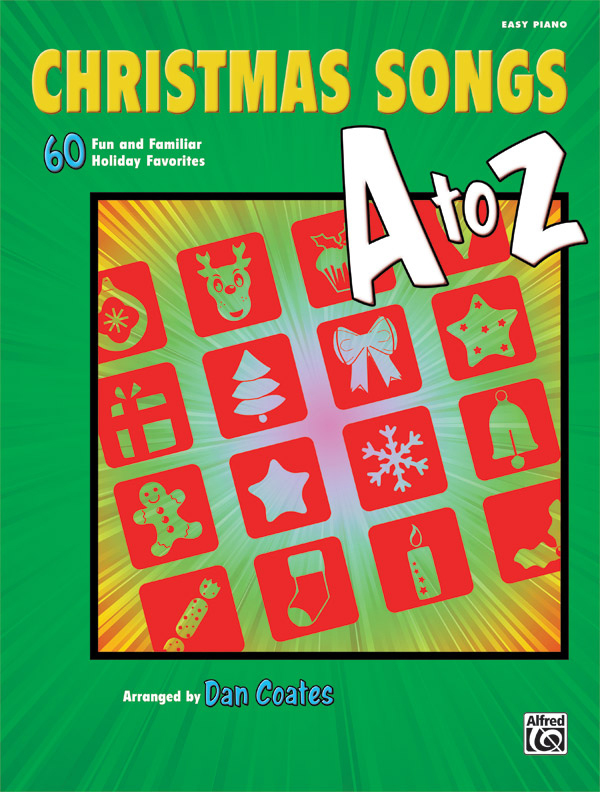 * Pianists of all ages will enjoy this big collection of simplified Christmas piano arrangements by acclaimed piano arranger Dan Coates. * The arrangements are a pleasure, because they're easier to play than standard sheet music arrangements, but full-sounding enough to stand on their own as piano solos or to provide accompaniment for singing along. * With 60 popular titles, this book provides pianists with enough material for a lifetime of musical Christmas gatherings! * Titles:, All I Want for Christmas Is My Two Front Teeth, Angels We Have Heard on High, The Annual Animal Christmas Ball, Auld Lang Syne, Away in a Manger, Believe (from The Polar Express), Blue Christmas, Celebrate Me Home, The Christmas Waltz, The Coventry Carol, Deck the Halls, Even Santa Fell in Love, Felíz Navidad, The First Noël, Frosty the Snowman, The Gift, God Rest Ye Merry, Gentlemen, Good King Wenceslas, Grandma Got Run Over by a Reindeer, Happy Xmas (War Is Over), Hark! The Herald Angels Sing, Have Yourself a Merry Little Christmas, (There's No Place Like) Home for the Holidays, Saw Three Ships, I'll Be Home for Christmas, It Came Upon the Midnight Clear, It's the Most Wonderful Time of the Year, Jingle Bell Rock, Jingle Bells, Jolly Old St. Nicholas, Joy to the World, Let It Snow! Let It Snow! Let It Snow!, The Little Drummer Boy, Mistletoe and Holly, Nuttin' for Christmas, O Christmas Tree (O Tannenbaum), O Come, All Ye Faithful, O Come, O Come, Emmanuel, O Holy Night, O Little Town of Bethlehem, Pat-a-Pan, Rockin' Around the Christmas Tree, Rudolph, the Red-Nosed Reindeer, Santa Baby, Santa Claus Is Comin' to Town, Silent Night, Sleigh Ride, Suzy Snowflake, These Are the Special Times, Thirty-Two Feet and Eight Little Tails, Toyland, The Twelve Days of Christmas, Ukranian Bell Carol, Up on the Housetop, We Three Kings of Orient Are, We Wish You a Merry Christmas, What Child Is This? (Greensleeves), Winter Wonderland, You're a Mean One, Mr. Grinch, 'Zat You, Santa Claus?